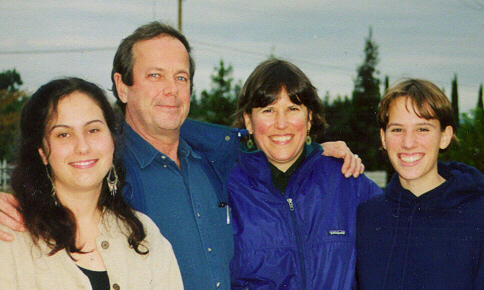 And this is my wonderful family ... more than 13 years ago now ... from left to right ... my one of a kind daughter Flora ... me (if you could not guess - I'm obviously the least attractive) ... my absolutely incredible supervisor and keeper/partner Tara ... and, last but not least by any means, our other one of a kind daughter and step daughter Erica. Thank you for stopping in here. (I am working on reducing the time it takes to load the photo -- now, 13 years later the speeds of the Internet are so fast it is amazing).